Hacienda de Guru Ram Das (HGRD) is a vibrant spiritual community of about 350 people living in Northern New Mexico just outside the city of Española. While many of the members of our community practice Sikh and 3HO lifestyles, our ashram welcomes all faiths, in keeping with the philosophy that an ashram is a place where spiritual seekers join together to study, grow and excel. The ashram was founded by Yogi Bhajan in 1970. From the earliest day he told us that people are called to live here because they have a mission to serve humanity. He named it the Mother Ashram with the vision of it being a place where people could come to experience spiritual growth and individual, community, and planetary healing. Read the full lecture what he said about the Española ashram in 1975. He also wrote an amazing poem about Española which we love to reflect on during the fall season here in New Mexico. "And I hope you shall all keep it going. Each tree here, each leaf here, each stone here, each grain of earth here has the miracle and the blessing of the house of Guru Ram Das. Make it so sacred that unfortunate people who do not know the secret may touch this part of the earth where you sing, where you chant, where you bless--to become healthy, happy and holy. Time has come to blend 3HO and Dharma into the service of the mankind." 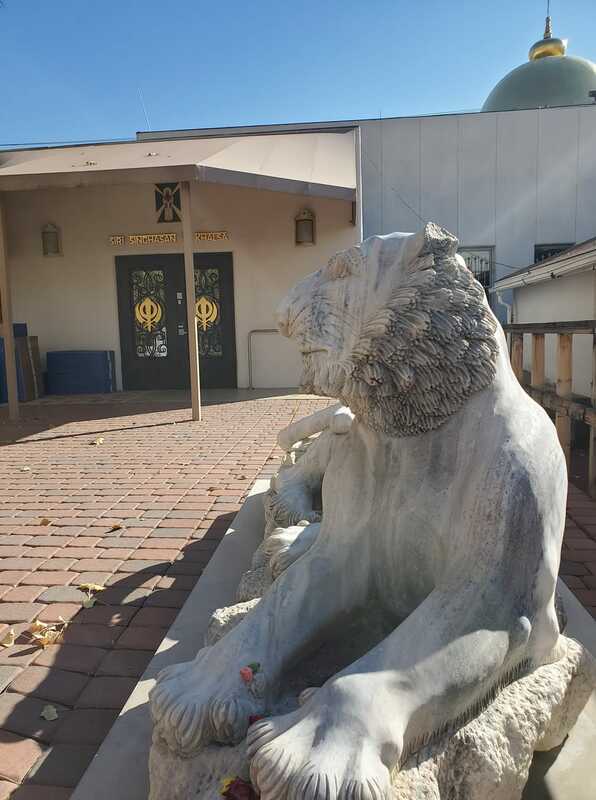 The name Hacienda de Guru Ram Das "home of the wisdom of service to all," reflects the merging of the local Hispanic culture with the Sikh teachings embodied in a 16th century saint from India, known as Guru Ram Das, the Guru of Miracles. His teachings of service with humility emanate throughout the community. Seva (selfless service) is a high priority in our lifestyle and every aspect of our community revolves around the selfless service of its sangat (congregation) members.